We had an interesting order recently. The Salvation were back ordering from us. Last year they ordered a large number of Fairtrade T shirts which we printed with the salvation Army crest. 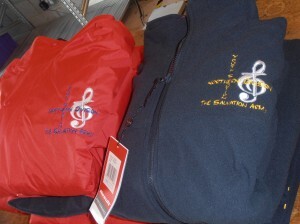 This year we have supplied their Youth Band with jackets containing at least 25% recycled fibres. 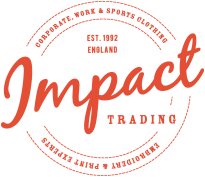 We have quite a range of different jackets – jackets made with recycled fibres and you really can’t tell the difference. I’m not sure if this is a good thing or not! We have also supplied recycled fleece jackets to the Chalvington and Northampton Recycling Teams for quite a few years, and a number of Wildlife Trusts order recycled caps embroidered with the wildlife logo.